Representing mesothelioma clients nationwide. Free consultation and mesothelioma packet. As a National Mesothelioma Law Firm our goal is to: * Maximize financial recovery from the asbestos manufacturers * Collect funds from the $30 Billion Asbestos Trusts * File VA Claims and Benefits We have recovered hundreds of millions of dollars for asbestos victims diagnosed with mesothelioma. Certain states have more favorable laws than other states so it is important to file the cases in the places they need to be filed. We file cases in the places they need to be filed and have successfully represented clients from all 50 states. Representing individuals and their families who suffer with mesothelioma or asbestos lung cancer. Seeking Justice by Recovering Compensation Quickly. As a nationally recognized mesothelioma firm it is our responsibility to work and fight hard for our clients. 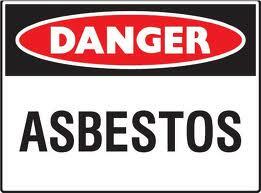 We will make sure you get the compensation you deserve from the asbestos manufacturers as quickly as possible. Mesothelioma is a serious disease and anyone going through this fight knows how much the individual and family suffers. We care. Let us help you care for your family and obtain the funds you need for health care & medical treatment. Peter earned his bachelor's degree from Duke University and his law degree from the University of Texas. He began his career as a commercial litigator in Washington, D.C., and has since focused his practice on toxic torts and pharmaceutical injury litigation. He has tried numerous asbestos and pharmaceutical cases to verdict in state and federal courts across the country, including many multimillion-dollar verdicts. He is an ardent supporter of consumer and victims' rights, having testified before the Texas Legislature and frequently lobbied Congress on behalf of asbestos litigants. Peter also serves on several asbestos bankruptcy creditor and trustee advisory committees. He is involved in steering committees for both U.S. and Texas asbestos multidistrict litigation, and has served on the ABA Commission on Asbestos litigation. Licensed to practice law in Texas, California, Missouri and Virginia, Peter has been elected for membership in the American Board of Trial Advocates by his peers. He has been recognized on the D Magazine "Best Lawyers in Dallas" list and the Thomson Reuters Texas Super Lawyers list from 2003 to 2011. Peter is active in the community as well, and is chairman of the board of the Greenhill School, former chairman of the St. Paul Medical Foundation, and a current board member of the Southwestern Medical Foundation. He is a recent appointment to the Federal Judicial Center Foundation Board. Peter also currently serves on Duke University Annual Fund's executive committee and the Dallas Bar Foundation's Baker Clerkship Committee. In addition, he is a current board member of the Texas Trial Lawyers Association and was recently elected to the Board of Governors of the American Association for Justice. He formerly served on the board of the Public Justice Foundation (formerly known as Trial Lawyers for Public Justice), a public interest law firm. He is also a member of the Dallas Bar Association.